The inaugural year of the middle school House program ended with hotly contested kick ball and basketball games! Houses were broken up into smaller teams to compete against other houses. Teamwork and support for one another was evident as cheering could be heard from blocks away. The students would have played on into the night but the buses were waiting to take them home for the long Memorial Day weekend! The first St. Patrick School Fine Arts Night was a smashing success! Students provided prelude music on the keyboard while band members played the saxophone, trumpet and clarinet. 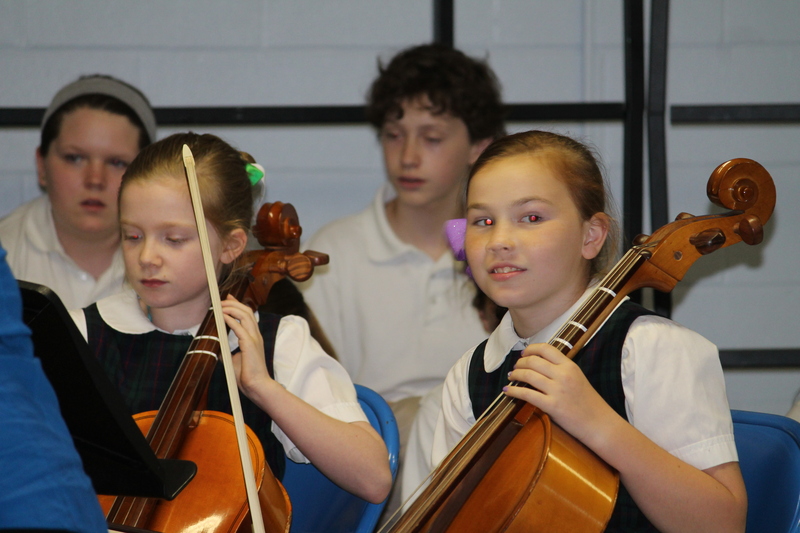 The string ensemble of violins and cellos showed off their talents and hard work much to the delight of the audience. Our choir members brought big smiles to everyone with their renditions of Sister Act Medly, Muppet Medley, and the popular Hammerstein and Rodgers, So Long, Farewell. It was a very enjoyable evening and we thank all of our students and teachers for their hard work, many hours of practice, and for bringing a smile to our faces! St. Patrick School gave tribute to Mary with a beautiful May Procession. All students participated in the prayer service with 8th and 2nd graders being highlighted. 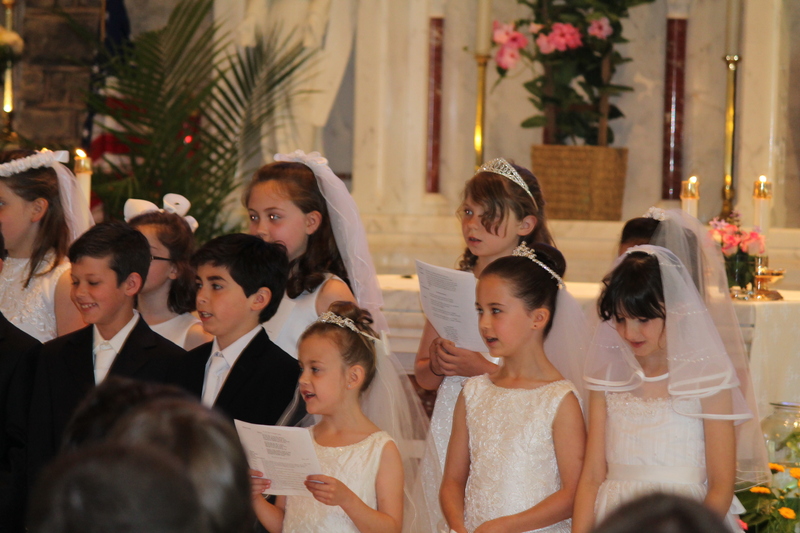 2nd grade wore their First Communion outfits and sang a song while two 2nd graders were part of the May court. 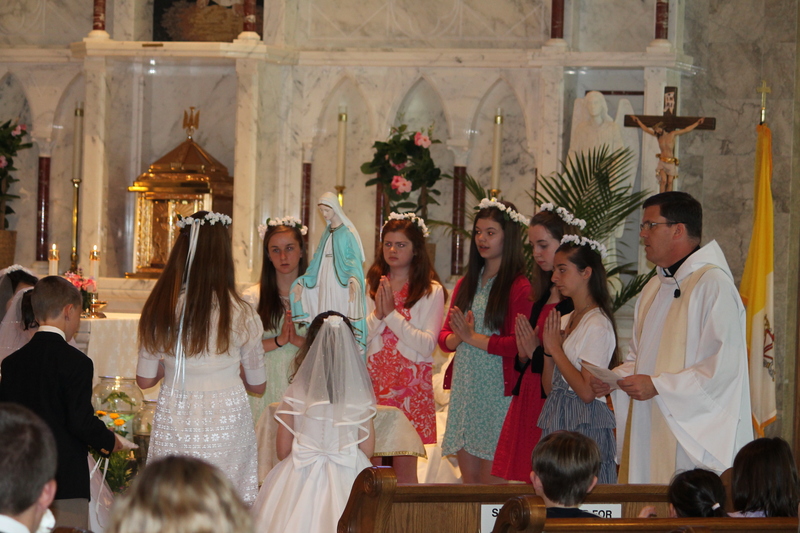 8th grade recited a poem and presented flowers to Mary. 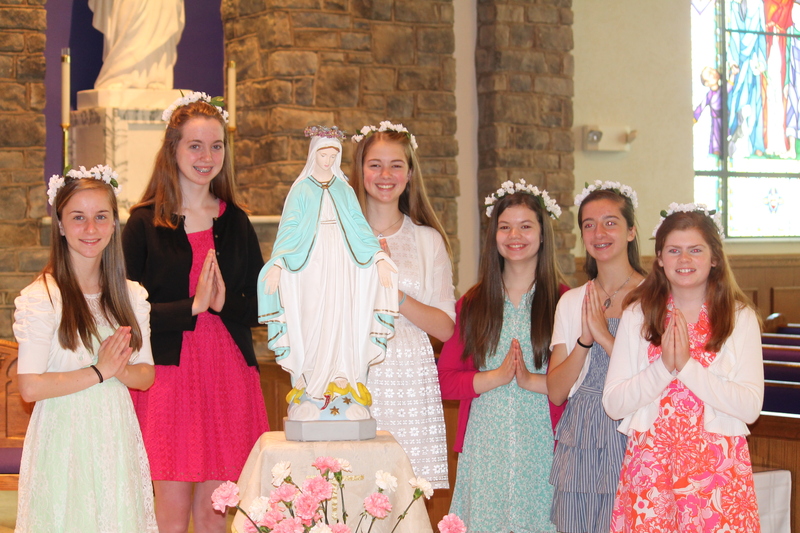 This year saw the beginning of a new tradition – 8th grade girls voted to choose the May Queen and May Court. 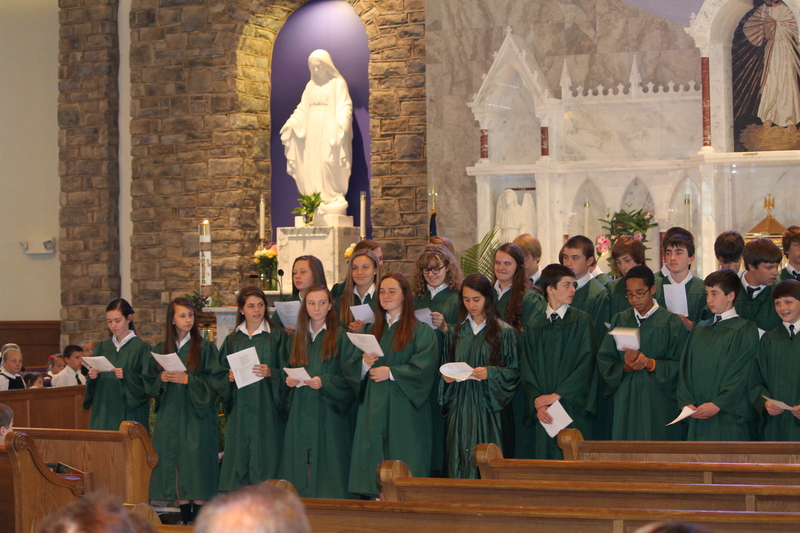 It was a great day and wonderful celebration for St. Pat’s School!